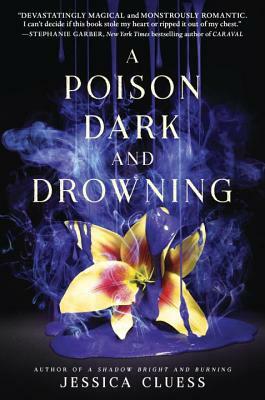 In the gripping fantasy sequel to A Shadow Bright and Burning that Justine Magazine says is "a pinch of Potter blended with a drop of Infernal Devices (Cassandra Clare)", Henrietta wants to save her love, but his dark magic may be her undoing. In the second book in the Kingdom on Fire series, Jessica Cluess delivers her signature mix of magic, passion, and teen warriors fighting for survival. Hand to fans of Victoria Aveyard, Sarah J. Maas, and Kiersten White. Henrietta came to London to be named the chosen one, the first female sorcerer in centuries. Instead, she discovered a city ruled by secrets. And the biggest secret of all: Henrietta is not the chosen one. Still, she must play the role in order to keep herself and Rook, her best friend and childhood love, safe. But can she truly save him? In order to try, Henrietta persuades Blackwood, the mysterious Earl of Sorrow-Fell, to travel up the coast to seek out new weapons. And Magnus, the brave, reckless flirt who wants to win back her favor, is assigned to their mission. Together, they will face monsters, make powerful allies, and discover that some old wounds are still full of poison. JESSICA CLUESS is a writer, a graduate of Northwestern University, and an unapologetic nerd. After college, she moved to Los Angeles, where she served coffee to the rich and famous while working on her first novel, A Shadow Bright and Burning. When she’s not writing books, she’s an instructor at Writopia Lab, helping kids and teens tell their own stories. Visit her at jessicacluess.com and follow her on Twitter at @JessCluess.